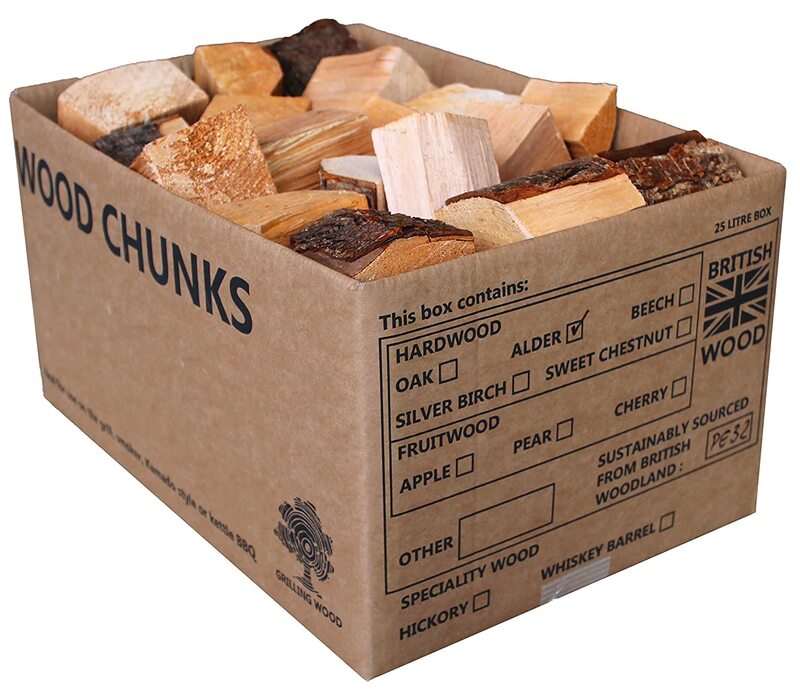 Apple Smoking Wood Chips produce a lovely delicate and sweet aroma when smouldering. 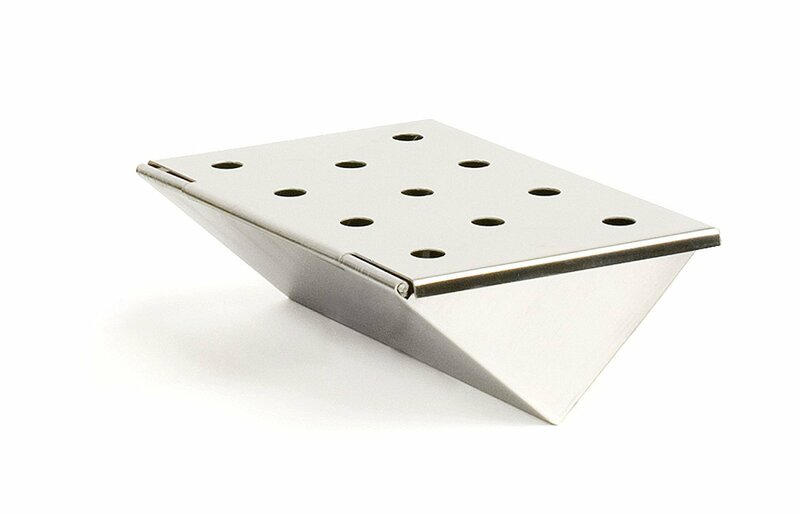 Perfect for smoking cheese or grilling Gammon or Chicken. Can be used on a charcoal BBQ with or without lid. Can also be used on a gas BBQ along with the BBQ Smoke Box. Simply soak in water for wine for an hour or so and throw onto coals. Please Note - Not suitable for use with stovetop smokers such as the cameron smoker. Contents may settle during transit and therefore may be slightly less than 1.2 litres on arrival. Arrived very quickly and i got two tubs posted for £1.95 which i thought was good. Tubs are rammed to the top with chips. You only need a handful pre-soaked for 20-30 minutes in water and thrown straight onto the coals in a smoker or in a smoker box on a bbq. At least 10 handfuls in a tub, so 45p a bbq or smoke is pretty good. I have only tried the apple flavour in a smoker with a pork loin and a bbq flava it rub. It came out well very very moist and a cross between pork and ham with the smoky taste. 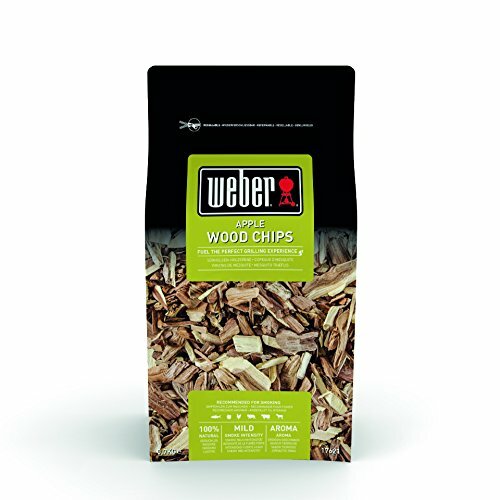 Apple chips will go well with most meats especailly ham and poultry. They work well. Will be trying more flavours through the summer. I've used these on a gas BBQ and found them to work really well. A decent amount of product, you can get 5 or 6 Barbecues worth out of a tub. 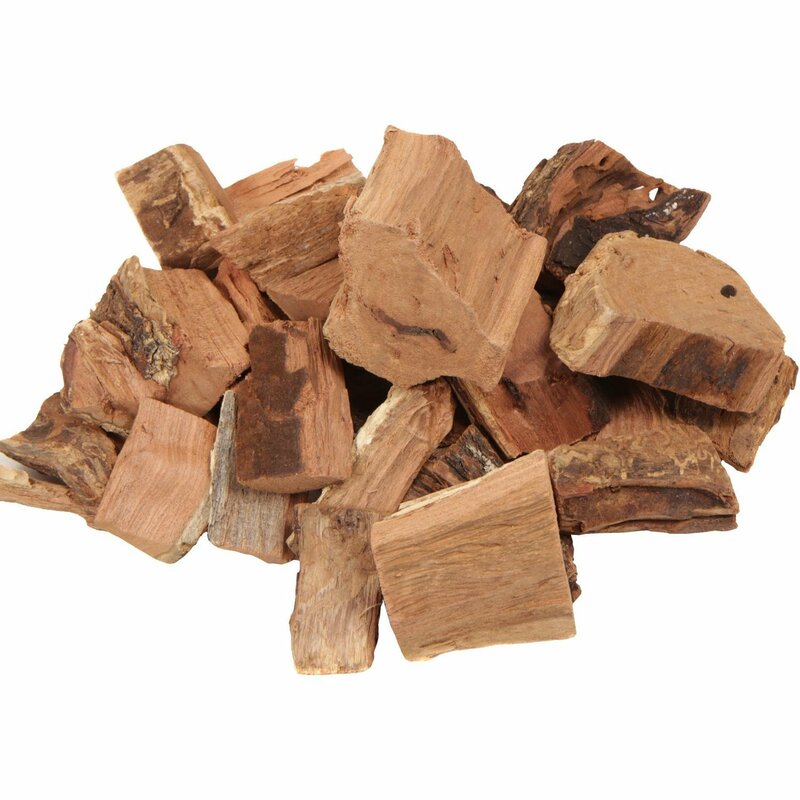 Produce a decent amount of fragrant smoke, no harsh chemical flavours emitted from the wood. The apple wood flavour could be a bit more pungent, but you may be able to achieve this by varying the quantity used or length of smoking time. These can be used on a gas BBQ by putting them into a tinfoil pouch and scoring it a few times with a fork. 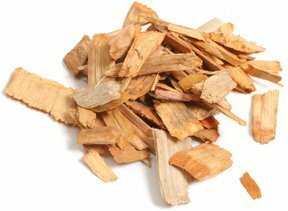 You'll often see advice telling you to soak wood chips before use. I've found that this just creates steam and takes longer before they start smoking and having any flavour benefit, so I don't bother. I usually turn the burners of the bbq on over one side, stick in a pouch or two, then shut the lid and wait for the chips to start smoking and the bbq to get up to temperature. I leave the righthand most burner off and stick the food on there, the food then cooks through and gets the lovely smokey flavour. Lovely, lovely, lovely! Fabulous product which, used properly, produces a lovely smoke. Perhaps it is me, being comparatively new to all this, but it seems to me that the guidance for usage recommends that you use so much more than is necessary. No? Whatever. 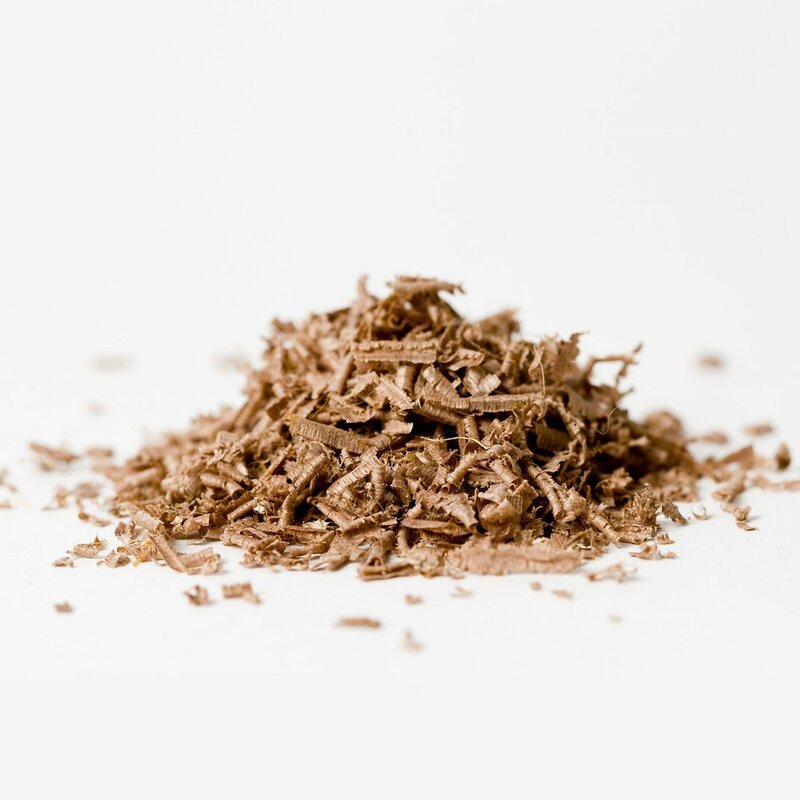 I use the quantity that I feel is right and I have been very pleased with the results - a lovely, delicate tasting smoke that works well with most meats and fish. Sadly, although excellent, I prefer the whisky oak chips from the same supplier. Recommended though, just the same. Enjoy! gives off a great smell when using the smoker and leave a lovely fresh taste on the food, just need some sunshine now. Very disappointed. Small tub of small chips that burn up very quickly. A good smoking takes around 3 hours. You'd be lucky if a tub of thisa lasts 30 mins. Won't be buying again. Was sceptical at the price, and the tub didn't seem big to my untutored eyes. But it's fine - I'm only halfway through and I chuck a lot on. Well packed, shipped quickly, not as big as other chips that I have had but packed with Apple flavour, really added a buzz to a smoked turkey crown. 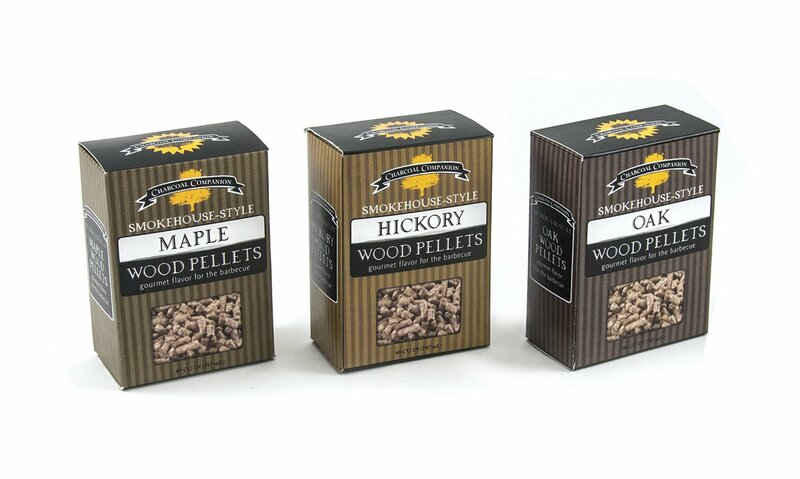 The Oak, Cherry and Hickory were as good.